Are Energy Company Stocks a Good Investment? Energy in the future will come from more diverse sources than the past. Alternative energy sources are edging out fossil fuels. The best oil stocks to buy are Magellan Midstream Partners LP (NYSE: MMP) and Plains All American Pipeline, LP (NYSE: PAA). The top energy companies to buy are First Solar Inc. (Nasdaq: FSLR), SunPower Corp. (Nasdaq: SPWR), and 8Point3 Energy Partners LP (Nasdaq: CAFD). Energy company stocks are a good investment, provided, of course, that you pick the best investments within the sector. The reason is simple. Demand is set to grow. The EIA forecasts that demand for energy will rise 25% by 2040, led by the rapidly growing nations of India and China. Energy in the future will come from more diverse sources than the past. A fossil fuel — oil — is still expected to be the prime supplier of energy through 2040, so it is not going away. But fossil fuels are slowly being edged out by the growth of alternative energy such as solar, wind, and other renewable energy sources. Wind and solar are expected to supply 64% of new energy capacity worldwide over the next 25 years, according to Bloomberg. What are the best energy companies? The best energy companies, in both fossil fuel and renewables, are those that have a good position in their respective markets and a good financial picture. That means that Big Oil companies such as Exxon Mobile (NYSE: XOM) and Royal Dutch Shell Plc. (NYSE: RDS.A), which carry huge loads of debt, are not the best to buy even given this year’s climb in oil. Dr. Kent Moors of Energy and Oil Investor expects the price of oil this year to rise because of the worldwide rise in demand as well as the production cuts occasioned by the Organization of Petroleum Exporting Countries (OPEC) agreement in late 2016. The new policies espoused by President Trump and his cabinet, which have rolled back regulation and increased drilling and exploration, are also expected to help the price of oil. What are the best oil company stocks to buy? The best oil company stocks are those that benefit from the rising price of oil but are positioned in transportation and storage, not as drillers or refiners. That way, if the price of oil rises, stays the same, or falls, they benefit. Magellan Midstream Partners LP (NYSE: MMP). MMP offers investors a steady income, with a yield of 7.52%. A Yahoo Finance basket of stock analysts projects an 8% increase in MMP’s earnings per share over the year. The company’s operating margin is far above the average S&P company, at almost 40% versus 21%. Plains All American Pipeline, LP (NYSE: PAA) transports over 4 million barrels of crude oil and natural gas every day. It will likely enjoy a hike in demand for its pipeline, as climbing oil prices and increased drilling continue. A Yahoo Finance survey showed that analysts forecast a 52% increase in EPS over 12 months. PAA’s yield also provides steady income at 7.52% currently. Oil and Energy Investor recommends 3 solar energy stocks for the renewable sector. First Solar Inc. (Nasdaq: FSLR) sells a panel made of a thin film that is used in manufacturing solar arrays. In 2018, the company will introduce its Series 6 panel technology, an advanced model 40% cheaper than the model it sells now, but with more efficiency. FactSet believes it can rise to $34-$40 over the next year. At the upper end of that range, that would give investors over a 17% return. SunPower Corp. (Nasdaq: SPWR) is the premier solar installer in the U.S. It is also creating a new panel, the P-series, which is projected to be cheaper. According to FactSet, the average price target is $8.26, an almost 20% advance from the current share price of $6.91. Both of these two solar companies have formed a joint venture called 8Point3 Energy Partners LP (Nasdaq: CAFD), which is Dr. Moors third pick. 8Point3 is a yieldco, a version of an MLP used in the solar industry. CAFD is used to recover capital from the finished projects of FSLR and SPWR. It manages the projects and passes through profits to holders of its shares. The company also returns a steady income, with a yield of 8.2% right now. CAFD’s price target in one year is $16.81, almost one-third higher than it is now. Click here to sign up for our wealth-building Energy Advantage to keep ahead of the markets. Invest in Oil: Who, What, Why? There are various types of oil companies to tap into, including drillers, refiners, and explorers. While stocks are a popular way to invest, investors may also choose to invest in oil ETFs and futures contracts as well to diversify their portfolios. Various types of oils exist that give investors several options as far as exactly which path to take, including palm oil, olive oil, and shale oil. Many factors drive the price of oil, including supply and demand, geo-political circumstances, natural disasters, and speculation, to name a few. Navigating the oil industry can be confusing for investors given the volatility that often comes with this market. However, the oil industry has long been an attractive one for investors, both novice and experienced, thanks to oil investing’s capability of providing a means to hedge funds and take advantage of global demand. Considering the possibility that oil prices may be bottoming out – if they haven’t already – oil may be a very attractive type of investment to make today. Who can invest in oil? Anyone who is looking to hedge their funds, collect a regular income, and take advantage of global growth should consider investing in oil. One of the more effective ways to offset the future effects of rising oil prices is to invest in oil stocks today in an effort to hedge against this inevitable increase in price. Top oil stocks include the likes of Exxon Mobil Corp. (NYSE: XOM), or even oil ETFs like the Energy Select SPDR ETF (NYSEMKT: XLE). Many investors appreciate the sizeable income streams that they collect from oil stocks, which is often the main reason for investing in this particular sector. Before the most recent oil-price crash, oil stocks were pumping out billions of dollars to investors every year through dividends and distributions. Even after the crash, some oil stocks continued to pay out generously, including Exxon Mobil Corp. (NYSE: XOM) and Valero Energy (NYSE: VLO). Investors who are looking to capitalize on the massive demand for oil should consider buying into this commodity. Oil demand is expected to grow exponentially and is anticipated to average over 97 million barrels a day in 2017. It’s expected that the demand for oil will continue to rise well into the foreseeable future, fueled by emerging-market economies. Who should invest in oil and gas? Investors who are looking for long-term passive income and robust ROI potential should seriously look into investing in oil and gas. Despite the low price of oil these days, participating directly in oil and gas can still provide investors with the benefit of reaping the returns that rival the majority of market-based investments. More innovative technology and the shift to developmental drilling have lowered the investment risk associated with these commodities. Those seeking to protect their investment portfolios from short-term market volatility would also be wise to consider oil investing. Energy investments are hard assets with a very low correlation to stocks and bonds. Exploration and production-based oil investments provide investors with the opportunity to benefit from potentially higher returns compared to other traditional investments. Which oil company do I invest in Singapore? Crude oil prices have taken a beating over the last few years, sending shockwaves all over the world, including Singapore. While it remains to be seen exactly when prices will rise again, according to historical oil price cycles, they inevitably will. Such a scenario creates real potential to get into the market while prices are low and ride the wave as prices begin to take off again at some point. There may be real opportunities to buy stocks from oil companies listed on the Singapore Stock Exchange (SGX). There are currently 31 oil and gas stocks listed on the SGX to consider investing in. Successful oil companies stick around and capture shares from the losers who inevitably leave the market after an extended crisis. Any company that’s able to show positive returns throughout a five-year stagnant time frame for oil proves that their earnings are still increasing. Five years is a significant period for stock prices to reflect the fundamentals of oil companies. Which oil company do I invest in 2015? As with any other type of investment, going long on a stock requires sound research on the company. The fundamentals of a company must be thoroughly studied in order to gauge how healthy the financials, management, debt, and balance sheets are. This is true for any sector, including the oil industry. What stocks invest in oil? The energy sector can be extremely profitable, which is why many investors set their sights on oil companies when looking to invest. With that, there are certain things to consider before choosing which oil stocks to invest in. Dividends – It’s important to choose a company that can withstand bearish oil markets, which we’ve been immersed in over the past few years. Large companies with solid balance sheets are able to stay standing throughout such turmoil while still churning out sizeable payouts to their investors. What kind of debt do they have, and is it manageable? What do analysts say about any future revenue growth? What types of assets does the company have? Present state of the market – In a bullish oil market, investors may fare better with “upstream” companies, including drillers and producers, who have a greater incentive to drill and profit from higher prices. In a bearish market, investors may do better with refiners, who tend to earn a higher profit when oil prices are down. What do I invest in oil? 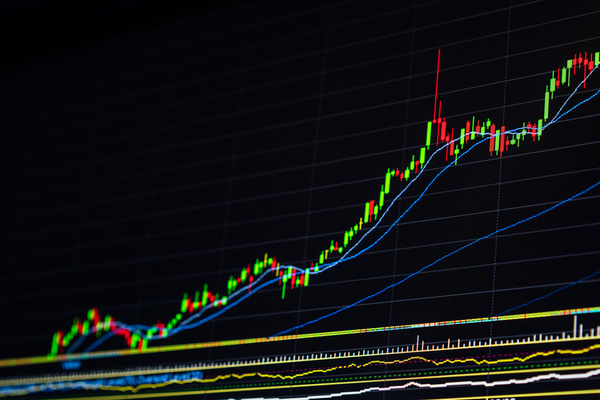 Oil stocks – Stocks are the more obvious choice for investors, especially if they are able to spot a stock that’s well priced and poised to spike in the near future. By finding the right company to invest in, buying oil stocks can prove to be a sound way to add to an investment portfolio. Oil ETFs – Exchange-traded funds offer investors another way to invest in the oil market. If you are unable to find the right company to dedicate a large chunk of capital to, you might want to buy an oil ETF that trades like a stock on an exchange but offers exposure to a variety of names in the same industry. Oil futures contracts – This type of investing strategy is not for the faint of heart or for those will little capital and a low risk tolerance. Essentially, an oil futures contract is a legal agreement to purchase the commodity at an agreed-upon price at a certain time in the future. Oil futures can be very complicated and risky, which is why it’s best left to highly experienced investors with an appetite for risk. Given the low price of oil as of late, it may a great time to get into the market at a discount and benefit from subsequent increases in the near future. Which fidelity funds invest in oil? Fidelity Investments is involved in managing a variety of mutual funds and provides advice on fund investments. The Fidelity® Select Energy Portfolio (MUTF: FSENX) fund focuses on capital appreciation and generally invests at least 80 percent of assets in securities of companies that mainly have to do with the energy industry, including oil. This particular fund is involved in investing in domestic and foreign oil firms and is centered on common stocks. The fund’s risk management efforts are robust and involve analyzing the fundamentals of each company’s financial background and position within the industry, as well as an in-depth look into economic and market conditions. Why should I invest in oil? Passive income – Buying low and selling high isn’t the only way to make money in the stock market. Many oil companies provide investors with handsome dividend payouts that investors can enjoy as passive income. Even during the recent fallout of oil, the more robust oil companies like Exxon Mobile Corp. (NYSE: XOM) are still paying out high dividends to its investors. Hedge against market fluctuations – Considering the fact that oil is a hard asset without a large correlation to stocks and bonds, oil investments may be the ideal way to protect your loan portfolio from short-term market fluctuations. Portfolios with ownership in an oil investment can help to buffer against fluctuating market conditions and inflation. Attractive tax incentives – Investors may be able to benefit from tax incentives from the IRS as an encouragement to invest in domestic oil and gas production companies. Why you should invest in oil? Few investment options provide the opportunity to take advantage of attractive tax incentives like oil. 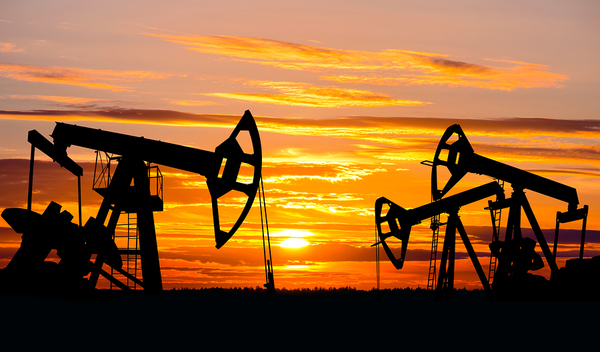 The IRS offers investors tax incentives to entice private investments in the realm of domestic oil and gas production. Approximately 60 to 80 percent of well costs can be fully deductible in the first year as intangible drilling costs. The rest of the amount will be categorized as tangible costs and can be depreciated over time. Not only that, 15 percent of the gross cash flow of a property is tax-free thanks to a depletion allowance. This can translate into a 100 percent deduction of costs associated with leasing, sale, legal services, administrative services, and accounting requirements. Why should I invest in oil and gas? Energy is a healthy market for investment, for many reasons. For starters, the sheer size of the energy market makes for a very fertile one. In fact, it’s considered the most valuable market sector across the globe at a current value of approximately $7 trillion. The delivery of usable energy forms to the global population is responsible for about 10 percent of the world’s annual gross domestic product. Another solid reason to invest in oil and gas is the anticipated future growth of this sector. It’s expected that global energy demand will expand by over 30 percent by 2035. By that time, oil demand across the globe will hover around the 100 million barrels per day mark as the number of vehicles being driven will double to about 1.7 billion. In order to effectively meet these soaring energy demands, $37 trillion will need to be invested in production and supply infrastructure in the energy industry over the next few years. More than half of that amount will be needed by the oil and gas market for increases in exploration, transportation, and production. Why invest in Canadian oil and gas? Canada may be a viable option when it comes to determining where to invest in oil and gas. Canada’s oil and gas producers are optimistic that 2017 will bring about growth in exploration and production. Fueling the revenue growth will be a combination of factors, including new growth projects, higher commodity prices, and efficiency gains in production. Perhaps two of the biggest reasons that you should consider investing in Canadian oil and gas companies are their cost-cutting efforts and contribution to advancing drilling and extraction technology. Slashing operational costs will keep more money in their pockets, which they can then put towards developing the innovative technology required for fracking purposes to extract harder-to-reach shale oil. Why invest in olive oil? There is currently a unique investment opportunity in the production, distribution, and sale of olive oil. Global demand for olive oil is on the upswing and the supply chain that’s required to provide good quality oil to the world’s population is improving and expanding. Investors can take advantage of the myriad of offshore investment opportunities associated with this increase in olive oil demand. The best investment opportunities for olive oil seem to be in the North African area of the Mediterranean Basin as a result of the expansion of olive production here. Nations such as Algeria are inviting and encouraging olive oil investment. In addition, investing in any areas where consumers are becoming more mindful of heart health and are realizing the importance of high-quality olive oil in achieving optimal health may also be wise, and that includes on domestic soil. Why not invest in oil? While there are plenty of reasons why oil might make a sound investment today, there are also some reasons why you may want to steer clear of oil – for now, anyway. A downward move could be on the horizon as the correlation of oil with an inverted U.S. dollar has hit a historical low following a rather large diversion since mid-2016. Should a return of correlation arrive, it could spark a sell-off and drive the price of oil down even further. A similar situation occurred both in 2010 and 2012. While the circumstances surrounding these other scenarios aren’t necessarily comparable, it’s still vital to analyze the situation when the correlation is this low. Why invest in palm oil? The palm oil industry has a few attractive economic characteristics that might prompt investors to want to potentially consider investing in this realm. With the global demand for palm oil consistently increasing over time alongside an increase in world population, investing in the palm oil industry is an attractive option for investors. Crops have shown to be highly profitable and favorable over the years. The palm oil industry has shown solid crop economics – obviously, one of the best ways for crop growers to boost returns is to increase productivity per unit area of land. One of the benefits that palm oil has over other types of oil crops is that it’s efficient – it produces a much higher average oil yield in comparison to other crops. As the harvested fruits of palm oil plantations continuously yield healthy crops, palm oil stocks that pay out dividends will provide their investors with a steady stream of sizeable income. Why invest in Tullow Oil? Tullow Oil (LSE: TLW), which focuses on the exploration of oil in Africa, has taken a beating lately with the cost of shares in the company tanking in early 2017. Yet despite this, there are still a few reasons why Tullow Oil may be bullish very soon. For starters, the company has managed to maintain an impressive exploration track record thanks largely to its recent discovery in Northern Kenya. In addition, Tullow Oil’s capital expenditure budget is dropping as the firm gets close to completing the initial phase of an oil project off of Ghana’s coastline. And as production is anticipated to spike this year, it’s expected that the company will generate healthy cash flows that will help it pay down its debt. Investors can realize long-term passive income in the form of dividends when investing in robust oil and gas companies. Why invest in Canadian oil sands? Canada’s oil industry may be on the edge of a new investment cycle as oil settles into a US $50 to $60 per barrel range. With lower operational costs and advanced technologies, Canadian oil sands investments can generate healthy investment performances. Many companies in the Canadian oil sands industry can stay financially viable in this price range, with the capability of staying positive with cash flow and holding their production levels well into the future. Investors may want to focus their attention on oil sands operations that come with high-quality assets, strong balance sheets, and the highest potential for cash flow when oil prices remain flat. Canadian Natural Resources (NYSE: CNQ) and Suncor Energy (NYSE: SU) seem to fit the bill. From a long-term investment point of view, investing in crude oil can bring about sizeable returns for the savvy investor, and there are plenty of reasons for this. Peak oil is here for the long haul – Much of the oil wells to explore that were somewhat easy to extract oil from have been depleted, which means that just about all the oil resources that can still be explored will need further investment, additional effort, and more innovative technology. Take shale oil, for instance, which required new advances in fracking technology to extract oil. That means it will cost more to explore and is a great reason to go bullish on crude oil for the long-term. Global population continues to grow – The increasing purchasing power of people – especially in places where the population is growing faster than in others, such as in Asia – means more vehicles on the road, and therefore more oil consumption. Over the long term, oil will continue to have strong demand. We’re far from having an alternative that replaces oil – Eventually, we may see some other type of energy that could potentially replace oil, but such a scenario is unlikely to happen in the near future, which is yet another reason to go long on oil. Why invest in oil production? Why invest in oil drilling? Investing in drilling companies isn’t always a popular choice when the price of oil is down; however, there are certain drilling companies that could potentially make sound investment choices, even amidst our current low-oil-price environment. For instance, Concho Resources (NYSE: CXO) and Devon Energy (NYSE: DVN) both shifted their attention in 2016 to cutting costs by capturing drilling efficiencies and optimizing their oil well completions. Such efforts have placed these two companies in a position to begin growing again in 2017 at significantly reduced prices. For instance, if and when oil prices increase, Concho Resources has plenty of high-return drilling locations that will allow the company to capture these higher prices. In the meantime, Devon Energy is slated to double its cash flow in 2017, which will allow the company to deliver double-digit oil production growth next year. Why invest in oil ETF? A simple way to get exposure to oil is by investing in oil exchange-traded funds (ETFs), which provide an alternative to investing in oil without actually purchasing barrels of it. Oil ETFs are comprised of either oil company stocks or futures contracts to track the price of oil or oil-related indexes. Rather than having to make individual purchases of oil stocks, you can buy an oil ETF that already comes with hand-picked stocks and/or futures to help take advantage of gains in each company while minimizing risk. ETFs also make for a much easier type of trade. Why invest in oil and gas sector? Investing in the oil and gas sector certainly requires a great deal of research and education. Yet the returns it can bring when done right cannot be overstated. The fact that oil and gas are always in demand – and likely will be for the long haul – is reason enough to consider investing in oil and gas companies. The demand for oil and gas is high all across the globe. In the U.S. alone, more than 80 percent of energy comes from fossil fuels, and a big portion of that is derived from oil and gas. These commodities are needed to fuel cars and heat homes, and are also a big part of many industrial and manufacturing operations. For now, there’s a steady demand for oil and gas that isn’t dissipating any time soon. While alternative energy is on the rise, the world still uses a great deal of oil and gas, and this usage is not slowing down. Quite the opposite, actually, as the demand continues to grow just about every month. Why invest in oil companies? Consistent demand is something that every investor should consider before investing capital in any type of industry, regardless of what it may be. The demand for oil products is robust and is generally resistant to changes in the economy, both local and global. While it’s true that demand for oil might decrease slightly when the economy hits a downturn, the demand for oil does not drastically plummet. When the economy starts to grow again, the demand for oil products has a tendency to experience strong growth as well. Savvy investors will want assurance that the products or services that a specific company churns out are in high demand today and will be into the future. Oil companies fit that bill. Why invest in oil now? Now may be as good a time as ever to invest in oil considering the low prices we’ve been seeing as of late. While it is possible that prices can dip even lower, they will inevitably rise at some point in the near future. According to historical oil price cycles, an increase in oil prices is bound to happen. With oil prices being as low as they currently are, you may want to consider investing in oil now. Buying at these low prices can help increase the odds of benefiting from a sizeable ROI as prices inevitably rise in the near future. Demand for oil will never disappear. The world’s 7 billion people depend on oil for some of the more important things in life, such as driving a car and operating a house. If you purchase oil stocks that also pay out dividends, you can also take advantage of passive income on a regular basis. Having a diversified portfolio is a must, and adding oil to a portfolio is a fabulous way to diversify it. Considering how big the energy market currently is – and will likely continue to be well into the future – it encompasses a wide array of market sectors. For instance, the majority of electricity plants – regardless of the source of energy – require water to be cooled, which means energy investing also means investing in the water sector. Then, of course, there’s the opportunity to experience significant growth while collecting a handsome income through dividends. Investing in oil allows investors to pursue a number of different investment goals, including income opportunities, growth companies, blue chip plays, and new start-up exploration companies. Why invest in oil and gas industry? Demand – Even when demand is seemingly low, there is still a certain dependence on energy like oil and gas. Everything requires energy. Driving a car, turning on the lights, and operating a computer all require energy. The world simply cannot do without oil and gas, which makes these commodities attractive investment channels. Unlike other sectors that rely on consumer discretionary spending or only enjoy short-lived trends, oil and gas are always in constant demand. Recent returns – Thanks to rising demand, energy investments have provided above-average results in returns for decades, despite the recent lull in oil prices. For instance, Exxon Mobil Corp. (NYSE: XOM) returned 140 percent in comparison to the Dow Jones’ 40 percent between 2003 and 2013, and during the period from 1993 to 2013, Exxon delivered 472 percent compared to the Dow’s 324 percent return. While there are many reasons why investors would consider investing in oil and gas, perhaps the income and growth potential may really capture their attention. Aside from diversified firms, energy investments can provide you with various means of achieving your investment goals. There are opportunities to strike it big with start-up companies or exploration firms, as well as blue chip value plays and income opportunities to benefit from. Determining the right strategy that’s in line with your current financial situation is obviously important. But once you’ve done your due diligence, oil and gas investing can help you reach those goals. Integrated oil and gas firms provide value and dividends, young oil and gas exploration companies can provide sizeable returns, and pipeline operators can provide a steady stream of income. Oil prices have been hitting the bottom of the barrel over the recent past, but they’re anticipated to start rising again in the near future. History dictates that they will. The cycle of oil prices repeats itself over the years, and once prices do finally start to increase, investors who purchase oil stocks when prices are low will be able to reap the rewards of a hefty return. By the year 2035, global energy demand is expected to grow by more than 30 percent, with the Middle East, China, and India making up two-thirds of this growth. By then, international oil demand will be approximately 100 million barrels per day as the number of vehicles on the road will double. Not only that, demand for electricity is expected to grow exponentially over the same time period, causing prices to spike 15 percent by 2035. Are Energy Investments a Good Choice? Energy is in high demand, and always will be, even as we inch closer to alternative renewable energy sources. Investing in energy is a viable option for investors who are looking for regular hefty payouts in the form of dividends. Oil prices may be down now, but they are anticipated to rise shortly, benefiting those who get into the market now and buy at these low prices. Investing in energy trusts provides an alternative way to make money in the energy sector by allowing investors to actually own shares of the income of what energy companies generate. Energy in various forms is always in demand, and with the continued growth of the world’s population and the increased use of products that rely on energy to operate, such demand is only expected to continue to climb. Despite recent lulls in energy prices – which has happened in every energy price cycle throughout history – the energy industry is a fruitful one and offers savvy investors an opportunity to grow and diversify their investment portfolios. The energy industry encompasses stocks associated with the production or supply of various types of energy and includes companies that are involved in different channels in the energy sector. This includes exploration and production (E&P), drilling, development of oil and gas reserves, and oil and gas drilling. Certain factors influence how the energy sector performs at any given time, but perhaps the biggest influencers are supply and demand across the globe. Other factors also influence the performance of the energy sector and its inevitable stock prices, such as geopolitical events and even natural disasters. In order to determine the profitability of a specific energy investment, investors need to figure out the potential energy return on investment. This component is critical in determining the price of energy, since energy sources that can be accessed easily and affordably help keep energy prices low. As energy becomes harder to produce or find, this can drive the price up, and therefore reduce the energy ROI for investors. What is energy investment banking? Energy investment banking somewhat resembles traditional investment banking in that energy investment banks raise capital, handle mergers and acquisitions, and trade securities. The difference between the two, however, is that energy investment banks are focused on the energy sector, which includes oil, natural gas, and renewable energy sectors. Are energy trusts good investments? While stocks are the more obvious means of investing in the energy sector, there are other ways to get in the industry – with energy trusts. These royalty trusts pass on income to investors from oil and gas fields, as well as other commodities. They’re somewhat like master limited partnerships since they are both traded like stocks, generate a handsome income, and offer favorable tax incentives. However, the main difference is that royalty trusts own the rights to cash flow from oil and gas production facilities, such as mines and wells. Investors of royalty trusts would, therefore, own a share of the income these mines and wells produce instead of owning a share in the actual well or mine. As the price of energy goes up, so does the income that investors receive from their royalty trusts. 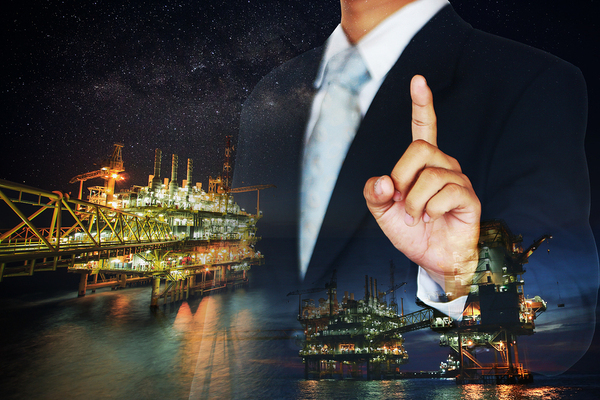 Investment banks make a sizeable amount of money in the energy sector through financing projects and offering investment advice, especially when the energy industry is flourishing. Are energy companies good investments? A good energy investment is only as good as the company being invested in. Ideally, thorough research of energy companies should be conducted in order to identify how healthy their financials are, how much debt they have, how well this debt is being managed, and how robust their balance sheets are. Bigger companies that have been around for decades are typically the more popular choices as they have shown a tendency to do well and sustain themselves through economic and energy catastrophes, such as Exxon Mobil Corp. (NYSE: XOM) and Chevron Corp. (NYSE: CVX). The type of energy company that you invest in also makes a difference and depends on the exact position that energy prices are at within its cycle. For instance, we are currently in the midst of low oil prices, and refinery companies tend to fare better when prices are low compared to other types of companies, such as drillers. On the other hand, drilling companies tend to do better when the price of oil increases. In view of that, it may be worthwhile to take a closer look at oil refineries given the current low oil prices. Click here to sign up for our exclusive Energy Inner Circle. What Do Investors Need to Know About Energy Stocks? The outlook for the energy sector is strong, with rising demand over the next two-plus decades. Oil prices and solar capacity are both expected to rise. Investors need to know the same information about energy stocks that they need to know about other stocks. What is the company’s financial information (revenues, earnings, and so forth)? 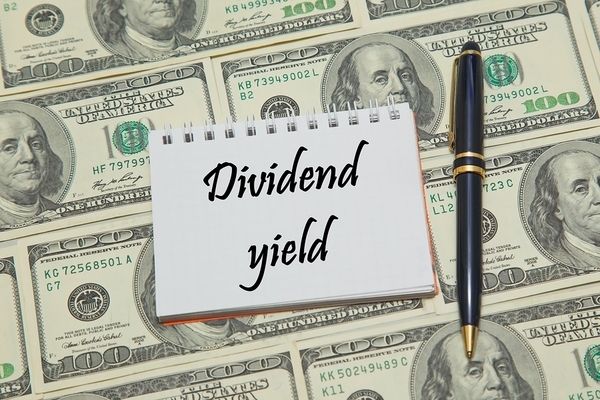 What is the dividend yield? What is the sector’s outlook? What are the company’s plans? Right now, the outlook for the energy sector is quite strong. The EIA projects a 25% rise in worldwide energy demand by 2040. Dr. Kent Moors notes that, while fossil fuels like oil will be fulfilling a lot of these demands, alternative, clean energies like solar and wind are expected to become increasingly important. Solar and wind are expected to constitute 64% of just-built energy capacity over the next several decades, according to Bloomberg. The price of oil per barrel is expected to increase this year given the expansion of demand, the fact that OPEC is sticking to a production cut agreed to in late 2016, and the better outlook for fossil fuel companies in Washington, D.C.
What energy stocks are vulnerable? As in all sectors, some energy investments will do better in the current climate than others. Big Oil stocks such as Exxon Mobil (NYSE: XOM), BP Plc. (NYSE ADR: BP), Royal Dutch Shell (NYSE:RDS.A), and Chevron Corp. (NYSE: CVX) have a lot of debt on their balance sheets. Even with a rise in earnings from climbing oil prices, their financial picture is compromised by the debt load. They are not oil stocks to purchase. Where is there a list of energy stocks to invest in? Right here. Oil and Energy Investor recommends the following energy stocks to invest in. Which energy stocks have high dividends? In general, master limited partnerships (MLPs) have high dividends. They are mandated to pass through a large percentage of their cash flow to investors, which means that they often have dividend yields between 5% and 12% (and potentially higher). By law, 90% of an MLP’s income has to stem from natural resources such as oil and natural gas, which is why many MLPs are concentrated in the energy sector. 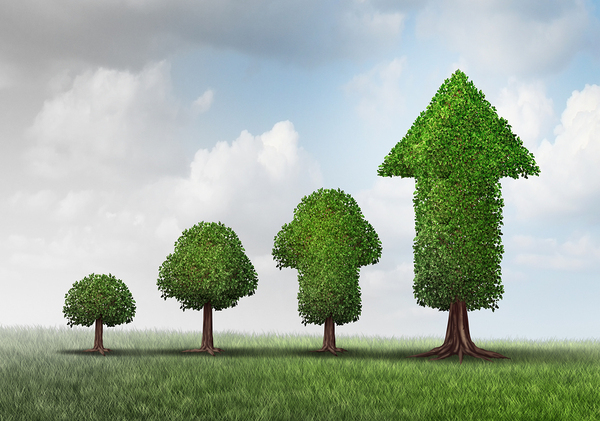 High dividends provide investors with steady and robust income. Magellan Midstream Partners LP (NYSE: MMP) – dividend yield is 4.71%. Plains All American Pipeline, LP (NYSE: PAA) – dividend yield is 7.52%. Genesis Energy LP (NYSE: GEL) – dividend yield is 9.19%. Enbridge Energy Partners LP (NYSE: EEP) – dividend yield is 12.06%. The solar energy sector has an MLP-like entity called a yieldco. The following is a yieldco. 8Point3 Energy Partners LP (Nasdaq: CAFD) – dividend yield is 8.2%. Are there energy penny stocks? There are definitely energy penny stocks. Penny stocks are defined by the Securities and Exchange Commission as those that trade for $5.00 per share or less. Because of the low share prices, they can be extremely volatile. A $0.10 move on a $5.00 stock, after all, is a 2% swing. To find a list of energy penny stocks, investors should screen for stocks selling for under $5.00 in the energy sector. Click here to sign up for our exclusive Energy Inner Circle for forecasts and top stock picks. What Are the Best Opportunities for Investing in Solar? It’s an excellent time to invest in solar energy stocks and ETFs because solar energy has attained parity with the cost of fossil fuels and capacity is rising worldwide — and expected to keep climbing. Investing in solar for homes is also a good idea for investors, due to ultimately cheaper energy. Although the political future of solar in the U.S. is uncertain because of the Trump administration’s focus on fossil fuels, the worldwide emphasis on renewable energy and climate change should counterbalance that. ETFs such as iShares Global Clean Energy ETF (Nasdaq: ICLN), the First Trust NASDAQ Clean Edge Smart Grid Infrastructure Index Fund (NASDAQ: GRID), and the Guggenheim Solar ETF (NYSE Arca: TAN) are good, diversified investments in the sector. Oil and Energy Investor top stock picks are First Solar (Nasdaq: FSLR), SunPower (Nasdaq: SPWR), and 8Point3 Energy Partners LP (Nasdaq: CAFD). Some of the best investing opportunities in solar energy are in solar energy exchange-traded funds (ETFs) and stocks. Investment in solar for the home is also a great idea. It’s solar energy’s time. It has attained grid parity with fossil fuels such as coal — which means that solar power is as cost-effective for users as traditional sources of energy. Capacity is rising rapidly throughout the world, and that is expected to increase. In 2016, according to Solar Power Europe, capacity rose by 49%. By 2020, capacity is expected to be 700 gigawatts versus just 300 gigawatts at the end of last year. Because of the rapid strides in competitiveness and capacity, solar is likely to be a great investment going forward. Interested investors can buy shares in companies engaged in solar power. They can also, of course, invest in solar power in their homes. Since solar is a renewable energy resource, an initial investment in rooftop solar panels, for example, will eventually lead to low cost energy generation, which can reduce energy costs for homes and businesses. Home solar investments are also possible in a number of household appliances and uses, ranging from batteries to hot water heaters. Where do I invest in solar energy stocks? Solar energy stocks are found on major stock exchanges, just as other types of stocks are. Investors can purchase either shares of individual solar companies or exchange-traded funds (ETFs) that invest in a basket of funds engaged in solar or in segments of the solar industry. What are solar power investment opportunities? Multiple opportunities can be found for investing in solar. Companies may specialize in providing solar power, installing solar capacity to residences and businesses, innovating in solar power, or supplying related material, such as grid interface and software. In addition, there are multiple investment opportunities for homes and businesses to make, ranging from roof panels to other appliances. Should I invest in solar power? Dr. Kent Moors believes that solar power is the fastest growing source of energy in the U.S. While solar power stocks dropped during 2016 and part of 2015, their decline was due to one factor that has since been reversed. It was the price of oil, which was low. Given the rise in oil since late 2016 and the expected rise in per barrel prices in 2017, the benefits of solar energy will become increasingly apparent. The political climate is somewhat uncertain given that the Trump administration prefers fossil fuel energy. However, Dr. Moors believes that the worldwide move toward climate change accords means that solar will continue to be strong globally, particularly in rapidly growing countries such as India and China. Investors need to decide on home solar power investments depending on their locale, housing situation, and plans. Should I invest in solar energy investment funds? Dr. Moors recommends several ETFs that specialize in renewable energy. (Solar investment funds often invest in wind power and other alternative energy methods as well.) ETFs are an excellent way to invest as they provide investors with the upside from solar power. But any potential downside from the fortunes of a particular stock is protected against by the diversification inherent in a basket. In addition, ETFs are very convenient. They are bought and sold just like stocks, on major exchanges. 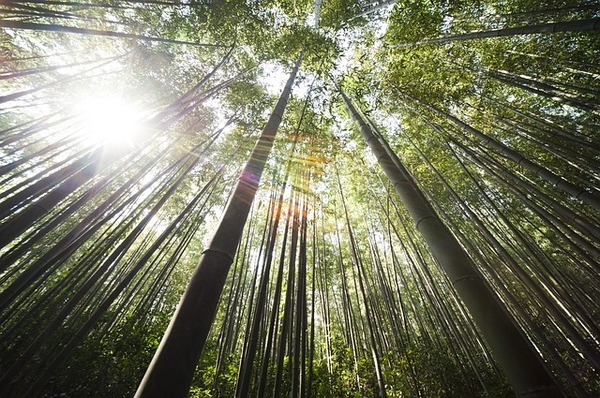 The first is iShares Global Clean Energy ETF (Nasdaq: ICLN). Its holdings are in clean power, utilities, and suppliers worldwide, including China, India, and the U.S. The First Trust NASDAQ Clean Edge Smart Grid Infrastructure Index Fund (Nasdaq: GRID) specializes in equities that develop and manage the infrastructure behind power, such as networks, meters, grids, storage, and software. In addition, the Guggenheim Solar ETF (NYSE Arca: TAN) contains the top 25 solar stocks, for investors wanting a diversified portfolio in the group. How do I invest in solar panels for my home? Investors interested in putting solar panels on their home should consult several qualified contractors and get bids on both the advisability of their home for solar panels and the costs. Your roof must get sufficient sun for solar to be feasible. In addition, if you have a roof that will need to be replaced within 5 years, it is probably advisable to wait until the replacement to install solar panels on it. Solar panels will last from 20 to 300 years. 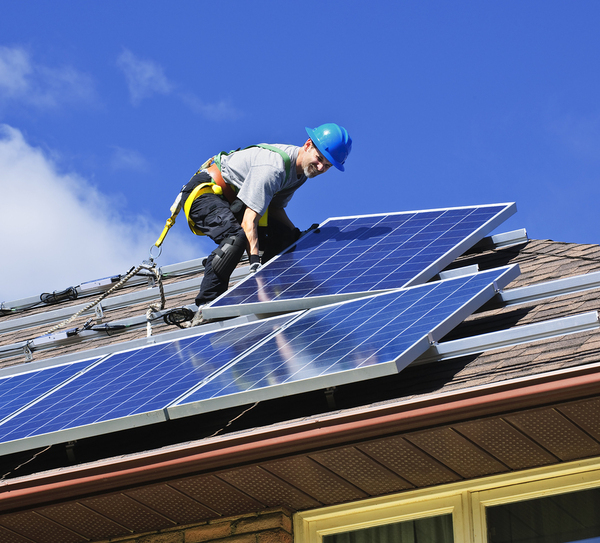 Time reports that an average sized roof made solar could cost around $15,000. Rebates and government subsidiaries are available, depending on your locale. How do I invest in solar projects? First Solar Inc. (Nasdaq: FSLR) makes a thin-film panel used in solar arrays. In 2018, the company will roll out its Series 6 panel technology, an advanced model that is 40% less expensive than its current models but provides higher power efficiency than its competitors. The company also has a strong balance sheet, at $2 billion cash and $160 million in debt at year-end. The stock is expected to become strong in 2018, once the Series 6 is firmly out. FactSet gives a price target over one year of $34-$40. At the high end, that’s more than 17% above current prices. 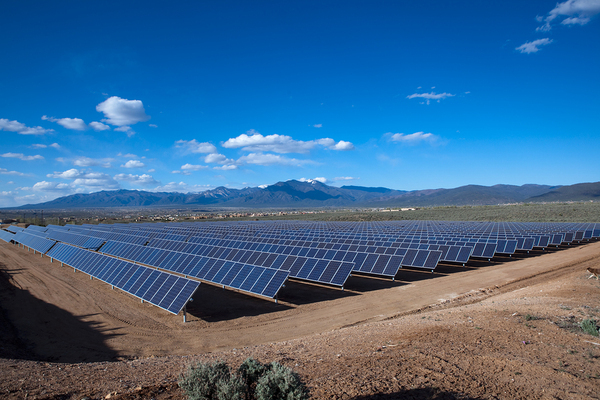 SunPower Corp. (Nasdaq: SPWR) is the #1 solar panel installer in the U.S. for businesses. It’s #2 in residential installations. The company is also developing its P-Series panel, which is expected to be less expensive and ready next year. FactSet reports that the average target one year out is $8.26. From the current $6.91 share price, that’s a gain of nearly 20%. 8Point3 Energy Partners LP (Nasdaq: CAFD) is, nicely enough, 8Point3 Energy partners in a joint venture between the first two companies on our list, First Solar, and SunPower. CAFD is a yieldco, the solar industry model of a master limited partnership. Its two partners use CAFD to recover capital from their finished projects. CAFD runs the solar projects and passes on profits to shareholders. The current dividend yield is 8.2%. CAFD’s average one-year target price is $16.81, nearly 32% above today’s price. Interested in energy trades? Click here to sign up for our exclusive Micro Energy Trader report. What’s New with Oil and Gas? The oil and gas industry is adding tens of thousands of jobs, making now a ripe time to land a high-paying job in the industry. The price of oil may be low today, but signs are pointing to an upswing in prices in the very near future. Some of the biggest oil and gas companies are located right here in the U.S., making both employment and domestic investment easy. The oil and gas industry is experiencing a huge spike in employment opportunities that tens of thousands of Americans can take advantage of. Concerns about the plummet of oil prices have left investors shaky about their oil and gas exploration and production stocks. However, signs point to the real possibility that an uptick in prices is on the horizon, making now the prime time to buy. The S&P 1500 E&P Index is oversold – and therefore under its predicted range. The last time the index was oversold was January 2016, after which it soared by 40 percent. Prior to that, in the summer of 2015, the index was again oversold. Three months later, it spiked by 16 percent. Could we see another spike in the index and therefore a jump in oil prices sometime very soon? Only time will tell, but an increase is inevitable, and given how long oil prices have hovered around their lows, 2017 may be a great year to buy. Where can I find oil and gas industry news? Right here at Oil and Energy Investor, we’re dedicated to providing up-to-date information about the oil and gas industry, providing investors with current news on the energy sector and sound investment advice based on fact. 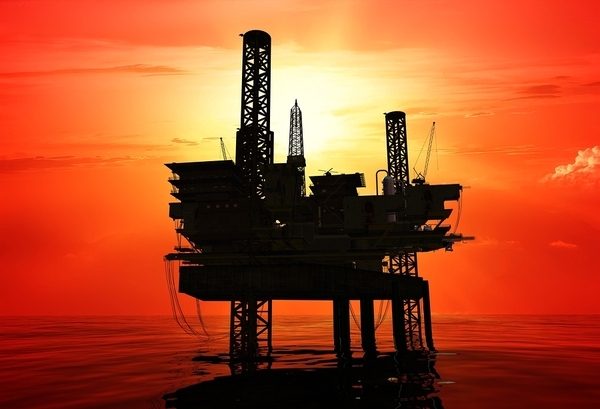 There are other reliable resources to look into in order to obtain oil and gas industry news. The U.S. Energy Information Administration (EIA) provides up-to-the-minute news about what’s happening in the industry today. The EIA is the main agency of the U.S. Federal Statistical System that holds the responsibility of collecting and analyzing energy information – including oil and gas, among others – to encourage robust policies, efficient markets, and a thorough understanding among the public of energy and how it interacts with and affects the U.S. economy. 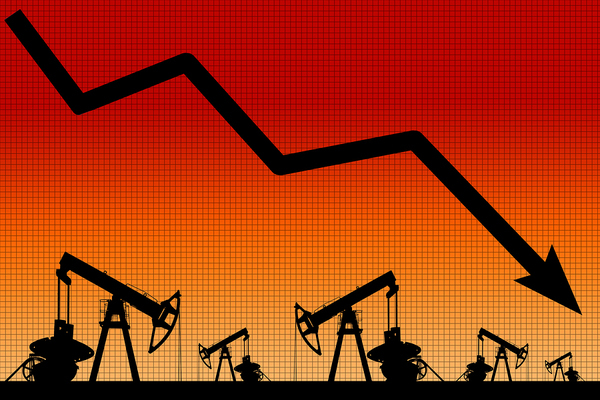 The price of oil is expected to increase very soon following years of very low prices. What are the names of oil and gas companies? Even though the price of oil and gas has plummeted since 2014, Big Oil continues to get even bigger. In the U.S. alone, oil output has skyrocketed to 9.03 million barrels per day (bpd), and global production continues to increase as well to 98.29 million bpd. In terms of the largest oil and gas companies in the world, Russian firms dominate the top of the list, accounting for more production compared to any other region. For decades, Russia has been a predominant producer of oil and gas. The U.S. also has plenty of top producers, and currently has seven companies in the top 25, led by ExxonMobil (NYSE: XOM), the third largest public oil and gas producer in the world. Where can I get a job in oil and gas? There are literally hundreds of ways to be employed in the oil and gas industry and make a sizeable income off these commodities. In fact, the opportunities to work in the oil and gas industry are so vast that this sector is among the most fruitful in the U.S. right now. According to Goldman Sachs, the U.S. oil industry will have to hire tens of thousands of employees over the next couple of years as oil prices begin to recover from their lows and drillers expand their rigs. Not only that, these jobs will be considered high-paying in order to attract upwards of 100,000 workers to energy companies. The U.S. has some of the largest oil and gas companies in the world, including ExxonMobil (NYSE: XOM) and Chevron (NYSE: CVX), so finding a job in this industry shouldn’t be an issue. Click here to get access to our Special Reports today. 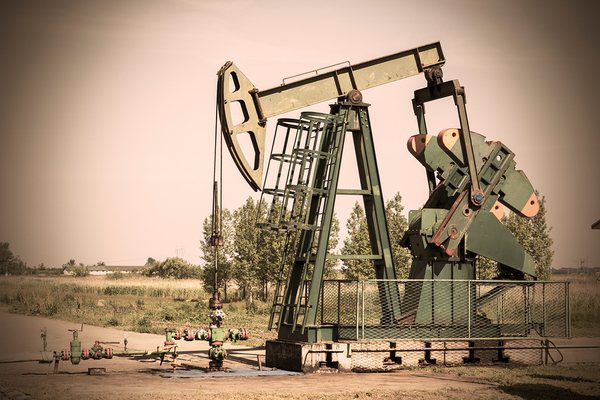 What Do Investors Need to Know Before They Invest in Oil Wells? Investing in oil wells comes with significant tax incentives that can put more money back in your pocket. You can enjoy a steady stream of income as long as the well you’ve invested in or purchased continues to produce oil. Money can be made from an oil well even if the price of oil is low. Buying an oil well can provide you with residual income in the form of royalty checks during the entire time period that you own it. Oil is heavily relied upon in all corners of the world, and that doesn’t seem like it’s going to change very much well into the future, despite the emergence of alternative renewable energy sources that are being experimented with. The world’s population is growing, and with that comes a continued demand for oil and oil-based products. Crude oil prices have tanked since 2014 and have remained extremely low since then, creating a potential buying point should the demand for oil continue and the price of oil increase – which they will. Investors seeking to invest in oil wells should take the time to do the necessary research before making a buy. It’s critical to determine why sellers are offering wells for sale in order to assess the risks associated with such a transaction. Done right, a soundly-executed oil well investment could prove to be very profitable. How do I invest in oil wells? 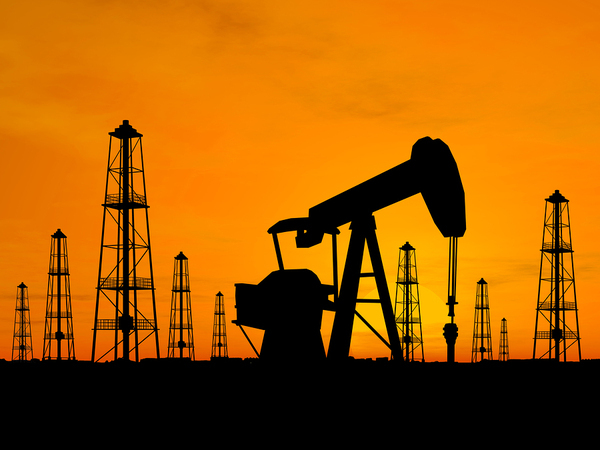 Large Cap Stocks – This tactic can help you gain exposure to the oil market through publicly traded companies which engage in oil drilling and exploration. Simply buying shares of these companies through a brokerage can give you direct exposure to them. Mutual Funds or ETFs – Rather than directly buying stocks from oil companies, you may consider purchasing shares in various oil-focused mutual funds or ETFs (exchange-traded funds). These can help you gain significant exposure to this commodity without assuming direct risk in commodity prices and without putting too much of your capital with one company. Futures Contracts – You can buy derivatives such as futures contracts as an alternative to ETFs or stocks. However, these can be very risky, since futures contracts often expire without any worth. Small-Cap Stock and Limited Partnerships – You can assume a direct equity position in a smaller project or company by investing in a small- or micro-cap stock, as well as a limited partnership that focuses on oil. This is a specialized type of investment avenue which can actually involve dealing directly with the company’s management for a private placement opportunity, if the amount you have to invest is significant. Should I invest in oil wells? Higher efficiencies – The technology used to drill and extract oil has skyrocketed in the U.S. Companies are now able to drill and do much more with less capital, which means more savings, and therefore, more value. Tax incentives – The IRS allows for an “intangible drill costs deduction” that investors of oil wells can take advantage of. These deductions can include everything except the actual drilling equipment. That means labor, grease, chemicals, and other items needed to drill are considered intangible and typically account for as much as 80% of the entire cost of drilling an oil well. Enjoy steady income – Buying oil wells is not exactly cheap, but the big benefit to this approach is that you are actually purchasing the oil production equipment. As long as the well produces oil, you will enjoy a steady stream of income. When you invest in oil wells, money can be made even if the price of oil goes down, as long as the price is high enough to offset operational expenses. Is investing in oil wells a good idea? When you invest in oil wells, you’re taking part in what’s known as “direct participation.” Essentially, you’re investing directly into either one oil well or a group of wells. As such, your investment is much more focused on the actual production of oil rather than the operation of a big corporation. You will have the opportunity to have your investment grow much bigger and faster when it’s focused rather than it being tossed into a large group. 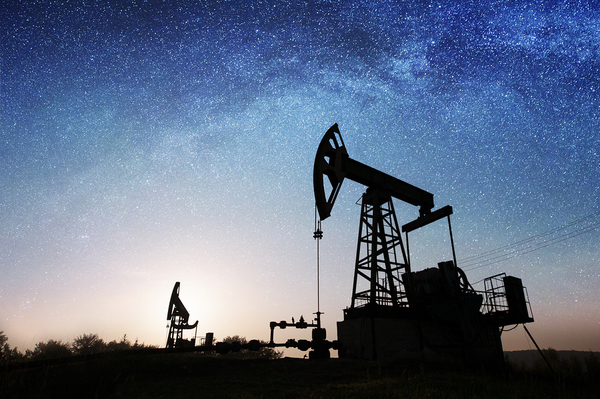 The costs associated with maintaining and operating oil wells is rather modest, which means you won’t lose a large chunk of your profits in carrying costs. While the actual cost to prepare and drill an oil well is expensive, the cost to maintain should be minimal if an oil well is completed properly. The oil operator is your partner when you’re involved in direct participation and your partner does not want the carrying costs to be high. Because of this, you can rest assured knowing that they’ve accounted for the carrying costs because they, too, want the oil well to be a profitable investment. How do I purchase shares of oil wells? Investing in oil wells is not unlike buying a stock, as you are only liable for your investment amount. With the stock market, if the company you bought shares in goes bankrupt, you are not impacted by these concerns other than the fact that your investment may become worthless. The same goes for investing in an oil well where you are bound by an operating agreement with the well operator that stipulates that you’re not held liable for the actions of the oil operator. You can approach the industry as a commodity and achieve profits from fluctuations in the price of oil. ETFs – There’s minimal risk associated with buying exchange-traded funds, unlike other means of investing. With this approach, you essentially own a basket of shares of various oil well operators rather than buying stock from one company. Partnerships – Many forms of partnerships can be used for oil investments, with limited partnerships being the most common. These limit the liability of the producing project to the amount of your investment and are sold as securities. Royalties – This refers to the compensation received by those who own the land where the oil well is located. Landowners generally receive between 12% to 20% of the gross production and assume no liability relating to the wells. How do I buy producing oil wells? Buying a producing oil well is somewhat like buying land or property. Advertisements are placed by sellers, and purchases are generally made with a broker involved as the middleman. A Purchase and Sale Agreement contract will be filled out and submitted to the seller. At closing, the seller will sign an Oil & Gas Mineral Deed prior to receiving payment for the oil well. At that point, you will be the recipient of royalty checks on the oil production. 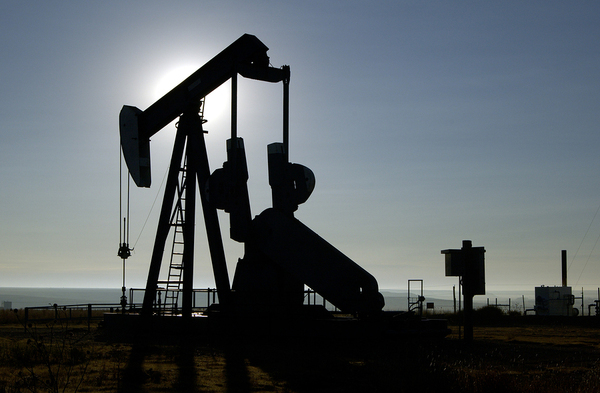 What is the oil well investment tax deduction? 100% of your taxable income from the property where the oil well is located, which is figured without the deduction for depletion. 65% of your taxable income from all sources, determined without the depletion allowance, net operating loss carryback, deduction for domestic production practices, and capital loss carryback. Any amount that you can’t deduct because of the taxable income limit can be carried over to the following year and added to your depletion allowance for that year. Investing in oil wells comes with significant tax savings that investors can enjoy every year. 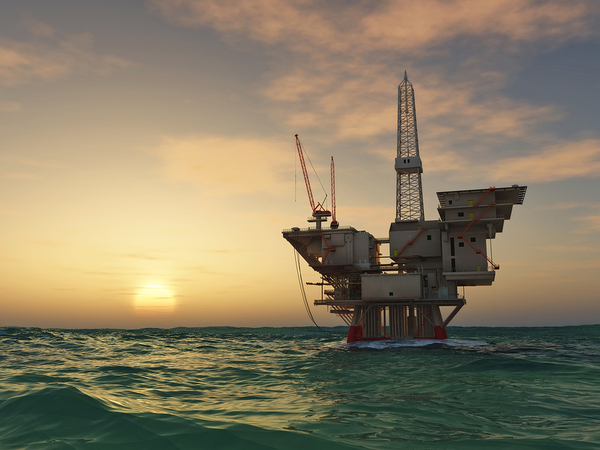 What are the best oil and gas investment opportunities? The best way to identify a sound investment opportunity is to conduct thorough research. Many investors purchase stocks and investments from a stock brokerage that they trust because conducting this research can be complex. Investment opportunities will be narrowed down to what your tolerance for risk is. However, there is minimal return this way. When investing in an oil well, you may want to do your own research. Legitimate oil drilling and exploration companies and operators will let you visit the drilling site and disclose the associated risks. They’ll fill you in on the geologist’s analysis of the site and well. Getting your hands on important pieces of information about the well – including production rates, estimated recovery, the track record of output, royalty percentage on the lease, and proximity to existing pipelines – will help you make an informed decision on whether a certain investment opportunity is a viable one. How do I invest in oil with little money? Investing in oil these days can be done with limited funds considering how low the current price is today. Buying low is critical to maximizing profits, so now is as good a time to buy as ever. It’s only a matter of time before the price of oil starts to rise again, and it will, given the continued dependence on oil on a global scale and OPEC’s recent agreement to cut back on the production of oil to stabilize the market. Choice of different account types. Click here to sign up for our wealth-building Energy Advantage today. How to Find the Best Energy Investments? Energy investments should include both renewable energy and fossil fuels. Energy demand is on the rise. Top picks in clean energy funds are ETFs like iShares Global Clean Energy ETF (Nasdaq: ICLN) and the First Trust NASDAQ Clean Edge Smart Grid Infrastructure Index Fund (NASDAQ: GRID), which provide upside potential but whose diversification also protects from any one company’s downside. Investors find the best energy investments by casting their nets broadly among both types of energy and global reach. Dr. Kent Moors of Oil and Energy Investor believes that the next decades will see energy supply spread among renewable, clean sources such as solar, wind, and biomass and the older fossil fuels of oil and natural gas. Demand for energy is growing rapidly. The EIA projects that energy demand will rise globally 25% by 2040. Demand for clean energy is growing even faster. Bloomberg reports that wind and solar sources over the next quarter century will provide 64% of new energy capacity globally. What is the Bloomberg New Energy Finance Report? The Bloomberg New Energy Finance Report is a publication dedicated to providing news and data on both the technologies and financial, economic and policy trends that are undergirding the energy transformation from fossil fuels to renewables. What is the investment in renewable energy by country? A report called Global Trends in Renewable Energy Investment 2015 explains that the countries with the largest investment in renewable energy in 2014 were China, with $81 billion invested, and the United States, with $36.3 billion invested. Japan was in third place with an investment of $34.3 billion. The U.K. spent $13.9 billion in renewable energy. Bloomberg New Energy Finance Report also collaborated on this data. The report is from the Frankfurt School FS-UNEP Collaborating Centre for Climate and Sustainable Energy Finance. Although India did not make the list, Dr. Moors points out that India is looking to replace its current electrical grid, which is highly inefficient and cannot supply energy to most of the country. The government is focusing on replacing the current system with renewable solar power. They plan a total investment of 100 gigawatts by 222, versus the current 4 gigawatts. Is there a list of clean energy investment funds? There is no specific comprehensive list of clean energy investment funds. 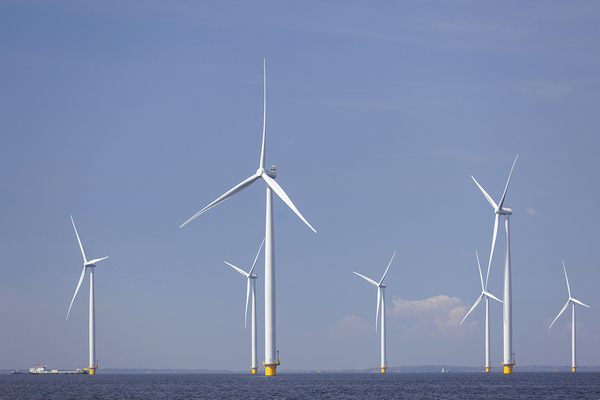 Two large and well-known clean energy funds open to investors are the Fidelity Select Environment and Alternative Energy Portfolio (FSLEX) and the Guinness Atkinson Alternative Energy (GAAEX). Both invest in multiple clean energy stocks. FSLEX is up 6.7% on the year and GAAEX has advanced 6.2% on the year. 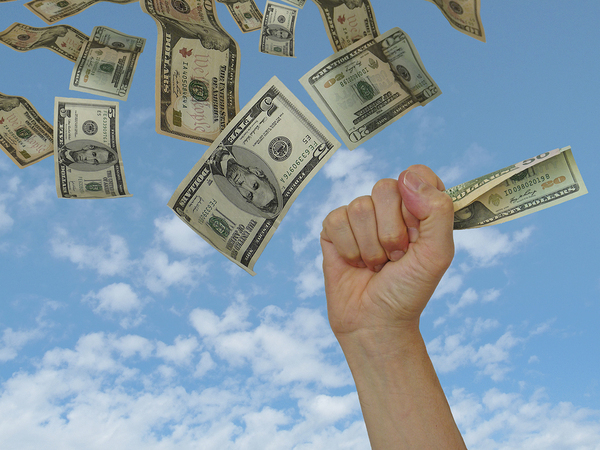 What are the best clean energy investment funds? Dr. Moors advises buying three funds that are focused on renewable energy. ETFs provide upside because of their diversification. They allow investors to profit by market moves by the sector, while protecting against volatility from a small number of companies. ETFs can be easily bought and sold, just as stocks can. The #1 ETF pick is iShares Global Clean Energy ETF (Nasdaq: ICLN). It holds equities engaged in clean power, utilities, and suppliers globally. The largest country’s stocks held are the U.S. and China. The #2 pick is First Trust NASDAQ Clean Edge Smart Grid Infrastructure Index Fund (Nasdaq: GRID). It focuses on companies that are engaged in the power infrastructure: grids, networks, storage, software, and meters. Finally, for investors wanting to focus on solar, the Guggenheim Solar ETF (NYSE Arca: TAN) is a basket of the biggest 25 solar stocks. 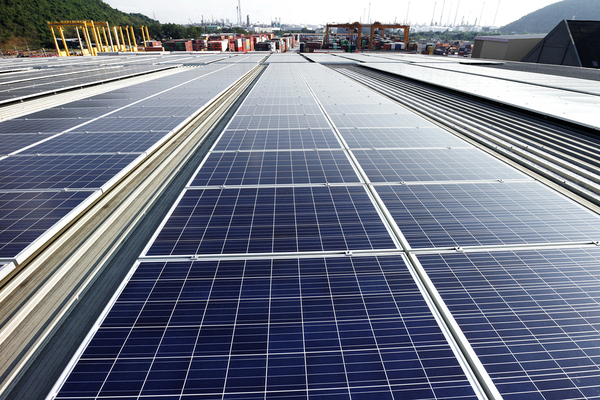 Solar ETFs are also often invested in other clean energy providers in addition to solar. What are the global trends in renewable energy investments? Bloomberg reports that energy sources with zero emissions will provide 60% of the capacity installed worldwide by 2040. Wind and solar over the next quarter century will provide 64% of new energy capacity globally. Demand is expected to be especially strong in China and India; both are populous countries with expanding energy needs. Click here to get access to our Special Reports to grow your portfolio with cutting-edge company stocks. What Should Investors Know About RBOB Gas? RBOB is an acronym for ‘Reformulated Gasoline Blendstock for Oxygen Blending’ and is a term used for unleaded gas futures. RBOB is heavily dependent on crude oil, as it is a refined product of the commodity. With oil and gasoline prices still hovering near lows and anticipated to rise in the near future, now may be an ideal time to get into the market to realize significant gains. RBOB gas makes a sound investment as it allows investors to take advantage of the global reliance on fossil fuels. Gasoline is among the most widely used commodities across the globe, used mainly for fuels. Given the heavy dependence on gas among the world’s population, any type of gasoline or crude oil derivative – including Reformulated Gasoline Blendstock for Oxygen Blending (RBOB) – could make an attractive investment choice for investors. What is the definition of RBOB gas? RBOB stands for ‘Reformulated Gasoline Blendstock for Oxygen Blending’, which is the term used when referencing unleaded gas futures. The most common way to trade gasoline is with futures contracts, the more common of which is the RBOB contract. It is the new benchmark for gasoline and is traded on the New York Mercantile Exchange under the ticker symbol RB. RBOB futures contracts are traded at 42,000 gallons of RBOB gas and the minimum fluctuation is US$0.0001 per gallon or US$4.20 per contract. RBOB is rather expensive to refine, as more energy and effort is needed to extract hydrocarbons out of the fuel. 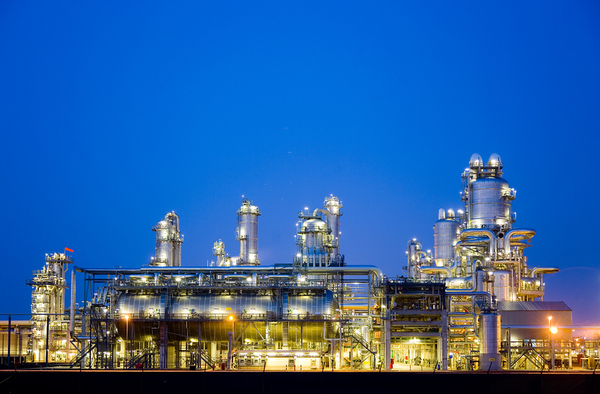 Refiners must remove high RVP components, which requires the removal of a lot of heavy molecular weight. RBOB gasoline refers to ‘reformulated gasoline blend-stock for oxygen blending’. This fuel is a by-product of crude oil. RBOB gas is the label used for unleaded gas futures when they’re traded on the international commodity trading system. Gas futures usually dip during the early winter – predominantly in November and December – and peak between April and May. Since the U.S. is the largest gasoline consumer in the world, how this country uses it has a major influence on global gasoline prices. RBOB gasoline is used as a fuel for several different vehicle and appliance types, most predominantly cars, lawn mowers, pressure washers, and generators. It can also be used for other applications, including the removal of paint and grease, as well for the production of different pesticides and weed killers. What does RBOB stand for? RBOB stands for ‘reformulated gasoline blend-stock for oxygen blending’, which is a type of gasoline fuel that has various applications, including fueling cars, lawn mowers, and generators. It is also widely used in various weed killer and pesticide products. In terms of investing, RBOB is simply the term used for unleaded gas futures. RBOB has become increasingly popular in the exchanges largely because of legislation banning gasoline with the chemical MTBE which was found in unleaded gas. MTBE has polluted groundwater sources and therefore threatened the health and safety of humans and wildlife, leading to its eventual ban. RBOB, which does not have any MTBE, has quickly exploded in popularity with futures traders and has even become the new benchmark gasoline futures contract. RBOB prices are heavily correlated with crude oil, and as such, the supply and demand factors that impact crude oil also affect RBOB. What is the RBOB gas news? Crude oil – which heavily influences RBOB – has been making headlines for years, ever since it started to tank in 2014. WTI crude has dropped to $45.52 per barrel as of May 4, 2017, marking a new five-month low despite assurances from OPEC of production cuts and a rebalancing of the market. U.S. gasoline futures dipped over 8 percent this year after crude oil output has spiked in the U.S. with increasing rig counts. Having said that, there are numerous reasons why RBOB gasoline makes a sound investment. For starters, investing in RBOB gasoline can be used to hedge against inflation. RBOB gas can also be included in an investment portfolio to take advantage of the global dependence on fossil fuels. Gasoline is a crucial component of our everyday lives, and there is a constant need to use it regardless of what the current economic conditions might be, which makes it an attractive investment in all markets. What is the RBOB gas price at the pump? The price for RBOB is heavily correlated with crude oil considering the fact that gasoline is distilled from crude. As such, all the supply and demand factors that influence crude oil also impact RBOB. As an international commodity, gasoline prices – and therefore the price of RBOB – are influenced by a number of price drivers, including crude oil prices, supply and demand, geopolitical issues, and the emergence of alternative fuels. It should be noted that crude oil is the only commodity that’s immediately reflected at the gas pump. The front month for RBOB gas futures is now June 2017. As far as gas prices at the pump are concerned, they remain very low, though they are slightly higher than they were the same time last year. Click here to sign up for our exclusive Micro Energy Trader report today.